A marriage can only be as strong as the two people in it, and a healthy marriage is made up of two healthy individuals. 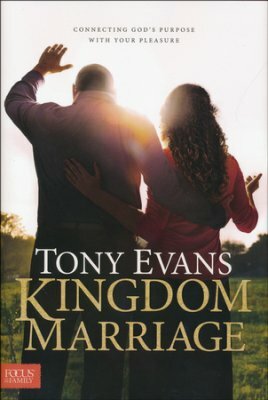 Thriving couples focus on how they can each be a better spouse (Ephesians 4:15) while continuing to grow spiritually, emotionally, physically, and mentally as individuals. A healthy marriage makes room for self-care and self-improvement. In this type of relationship, the partners know that they can’t be everything to each other. 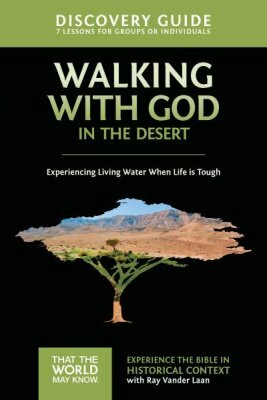 As a result, each learns to rely on God to meet his or her deepest needs. It would be fair to say that a solid understanding of this basic truth is more desperately needed in our time than ever before. Today’s culture has many married people so confused that they are running in relationship circles. Some of them have been so beat up and wounded in the past that they find it difficult to see their true potential. Others have simply lost sight of what they were born to do – what they were created to do – so that they no longer understand their purpose. Without this realization, they can’t hope to have the thriving marriage God has planned for them. Lots of people come into the marital relationship with flawed expectations. They assume that marriage is designed to cure their personal ailments and that their spouse is supposed to make them whole. They don’t realize that they’ve got the whole thing backwards. The truth is that marriage consists in the mysterious one-flesh union of two distinct lives and personalities (Genesis 2:24). This union is a blending, not a cloning. It’s a partnership in which sharply defined differences—not merely the difference between male and female, but the distinctions between two separate individuals—come together and complement each other as pieces of a puzzle and parts of a whole. These differences should be affirmed and enhanced. If you downplay them, suppress them, or attempt to erase them, you have nothing to offer to your mate. Remember, God has created each one of us uniquely in His image (Genesis 1:27). His purpose for each of you is that you become yourselves and then present yourselves to each other within the context of the blending of two unique lives. It’s worth adding that there’s a sense in which mystery is absolutely essential to romance. Boredom can be the death-knell of any relationship. Many couples find themselves “falling out of love” when they become convinced that they’ve learned everything there is to know about each other. That’s one reason it’s so important for spouses to work on preserving and celebrating their separate identities as two distinct people. This brief announcement communicates a principle that is basic to all healthy relationships: you have to secure your own “oxygen mask” before you can help others. Marriage is about giving, but you can’t give your spouse what you don’t have. If you’re fatigued, depressed, or saddled with a sense of guilt or inferiority, you’re in no position to encourage or build up your partner. Before you can love him or her, you have to love yourself (Leviticus 19:18; Matthew 22:39). This is where the give and take of a healthy marital relationship really begins. As believers, we take it for granted that the most important aspect of self-care and self-improvement is spiritual in nature. If a thriving marriage is a Christ-centered marriage, it follows that a thriving marriage will be made up of two Christ-centered individuals. Marriage is like a triangle with God at the apex. As husband and wife rise toward the goal of becoming more like Christ, they also grow closer to each other. In the process, the bond that unites them becomes more powerful and enduring. The implication is clear: if you want to love your spouse, love God with all your heart. Make sure your life is centered in your relationship with Him. Remember the words of the psalmist: “Whom have I in heaven but You? And there is none upon earth that I desire besides You” (Psalm 73:25). To build a marriage that will go the distance, build your hopes upon the rock-solid foundation of faith in Jesus Christ. God has made each one of us with a set of needs that He alone is capable of fulfilling. To expect another human being to assume His role is to put that person under an intolerable burden. The first step to building a thriving marriage is to let the Lord fill you up with the significance and security only He can provide. Once He’s recharged your battery and given you a healthy sense of who you are and what you have to offer you’ll be in a better position to bring something to the relationship that can take it to a higher level. A healthy marriage leaves room for relational margins and breathing space. It includes time apart as well as time together. Thriving couples understand that husbands and wives can’t be everything to each other. As sinful, imperfect, finite people, they don’t have that capacity. That’s God’s role. But if a man and woman are willing to cling to Him in faith and grow together in the knowledge of His grace, they can have a deeply satisfying marriage that will stand the test of time. How can I help facilitate your own growth as an individual – spiritually? Emotionally? Physically? Professionally? Do you feel that there’s enough “breathing space” in our relationship? If not, what can we do to fix the problem?